Benefits of writing letters – When was the last time you wrote a letter or postcard to a loved one? Was it a long time ago? Don’t feel bad, you’re not the only one who’s stopped doing it in recent years. According to the Statistic by Brain Research Institute, in 2015, 141 billion letters were sent around the world. Although this seems like a huge number, compared to the massive 268 billion letters that were posted in 1990, it’s a significant decline. Some might think that with the advent of the Internet, writing letters has become obsolete. However, there are many positives to handwritten messages that cannot be replicated with a Facebook status or an email. 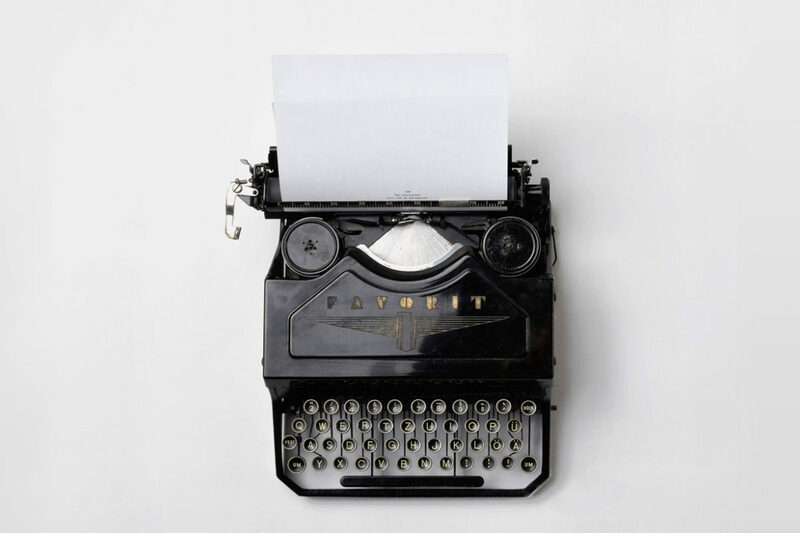 Read on to discover the 5 unique benefits of writing letters. Before we had emojis and different fonts, handwritten letters allowed us to express our individuality. Sure, writing a letter takes more time than writing an email, but a handwritten letter possesses more personal aesthetics that are unique to the writer himself/herself. It allows you to make your own unique mark in each letter. There are so many ways you can do this. We’ve listed them below so you can check them out. One of the benefits of writing letters, above everything else, is that it allows you to show off your unique handwriting style. It can also give you the chance to try out handwriting art styles like calligraphy. This beautifully written form can be used for anything: love letters, messages to beloved family members or close friends. There are thousands of ways to write, and it’s a much more personal way to send a message than just typing. There is a saying which states that the pen is mightier than the sword. While it refers to the power the written word has, the implement you write with can also give your message more meaning. Colour psychology states that different colours can have different effects on a person’s mood. For example, if you write with a red inked pen, you can conjure feelings of warmth, excitement, and love in the reader. Cooler colours like blue or green can instill feelings of calmness and tranquility. Then you have the types of pens you use. An elegant fountain pen is perfect for a formal letter, but glittery gel pens can make your writing more fun to read. It’s up to you to decide! If you want to create a letter that has a strong impact on the reader, consider what pen you’re going to use! Have you ever felt that excitement of opening a uniquely made letter? Perhaps it was the strange shape or a bright colour that caught your eye. The benefits of writing letters means that you can decide how it is sent to the reader. When choosing a letter to write on, don’t think you have to settle for a piece of bland paper. The surface you write on can be practically anything: cardboard, tissue paper, even fabric. Envelopes can be purchased in a variety of shapes and colours as well, giving you the room to come up with just anything you want. What better way to show off your journey than with a postcard? The best thing about postcards is that they are easily accessible. No matter where you are, they can be purchased anywhere in the world. The picture on the postcard can also show off your personality to whoever you send it to. Are you more of a scenery person or a “cute animal doing funny things” person? You can buy a postcard with a relevant photo attached to express your unique love. But you don’t have to work with already made designs. If you’re struggling to choose a good one, you can even make your own postcard! What’s more, there are specialty sites like MyPostcard which can assist you in creating your own unique postcard designs! 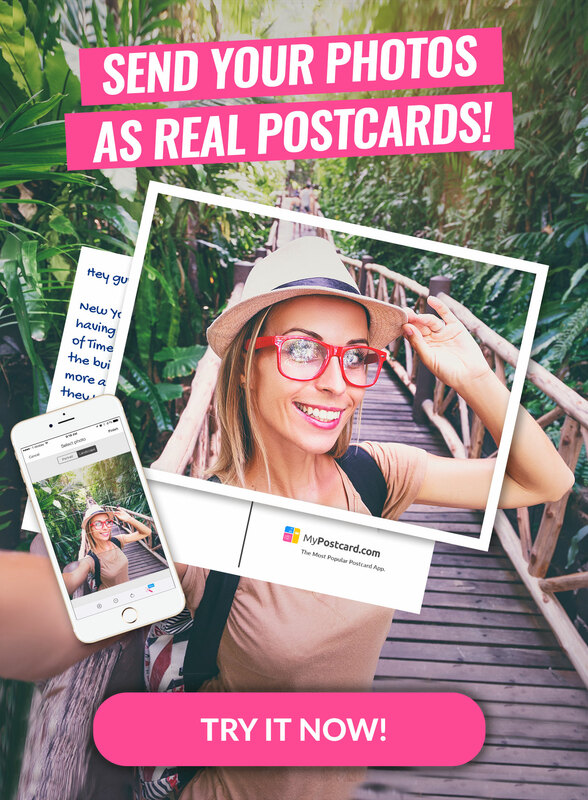 Just send them a digital photo you’ve taken and they will turn it into your very own real-life postcard! There is a reason why stamps are such popular collectibles. Each design is specially made, and they can express so many different things such where you are and what time of the year it is. There are even rare commemoration stamps you can only get only once! So when it comes time to send your letter or postcard off consider what stamp you’ll be sticking on. It may be surprising but like diet and exercise, writing on a daily basis is good for you both physically and mentally. Let’s delve deep into how it can help you! Studies have shown that writing, can improve your overall health. When given the task of writing on a daily basis about stressful events, sufferers of asthma and arthritis showed improvement of control over their disease. So next time you’re not feeling the best, get some writing implements out and write a letter back home! Writing down your thoughts on paper provides you with a handy way to alleviate stress, loneliness, and anxiety, particularly if you’re abroad. According to clinical psychologist Josh Klapow, the best way to overcome homesickness isn’t through constant Facebook updates or emails, but rather through a single, weekly source of contact. This could come in the form of a heartfelt letter. It has also been proven that writing about the good things in your life about once a week can give you a more positive outlook on life. What better way to do this than by writing weekly letters to loved ones? A handwritten letter captures you in the moment the way no email or Facebook status can. Have you ever heard those old stories of people keeping love letters in a box under their bed? There’s a reason for that! The benefits of writing letters is that they can preserve a snapshot of you, frozen in time. It can show you the thoughts and feelings you had, the things you liked and disliked and the goals you were striving towards. If you keep up a letter writing hobby for a long enough time, the person who you send them to will eventually end up with an evolving representation of you. Some people might argue that Facebook posts could easily do the same thing. However, the disadvantage of online writings is that they can only provide you with words, pictures, and occasionally sound. Handwritten letters give you the opportunity to include more of the five senses. Smudges of lipstick, scents of perfume; even an accidental coffee stain! There’s something about this that makes your messages seem more human and more you. Think about the last time you wrote a Facebook status. How many words did you change out of anxiety of what others would think? There is a saying that we have two faces: our public face and private face. When we write online, we’re mainly doing it through our public face. The benefits of a handwritten letter are that they allow you to open up your private face to whoever you write to. There is no pressure from prying eyes, so you can let your prose go free. Be as sincere or romantic as you want! You also don’t have a time limit to worry about, this isn’t a school essay! Besides, you need to take your time and write slowly and deliberately as every single word you write will be a permanent part of the letter. There’s also the added factor of being able to write full paragraphs whilst not getting interrupted by anyone else. As a result of this, you will put more thought into what you write and end up with the perfect letter. Do you remember how you felt the last time you got a handwritten letter? Maybe you were overcome with happiness or perhaps you simply felt relief over not receiving another bill? Now imagine that same feeling being given to a partner or a family member. One of the many benefits of writing letters is that they are a beautiful, timeless gift. You can write a love letter or a message of support to someone who might be having a bad day and they will cherish it forever. They can put it on the fridge, keep it on their desk or even frame it and hang it up in their home! The person you have sent it to will be touched by the amount of effort you’ve put in to write them an actual letter. The more personal you make it, the better. Use a colored pen, write in your own font on a beautiful personalized postcard and maybe add a lipstick mark or thumbprint on it! Benefits of Writing Letters: Start Writing Yours Today! From improving your overall health to creating a timeless memento for a loved one, there are so many benefits to writing letters and postcards. Why wait? Begin writing your letter today! For a unique letter that your loved one will cherish, consider a personalized postcard. Basically, you will need to take digital photos, which will then be turned into amazing real postcards you can send anywhere around the world. To start making your unique postcard right now, click here.